MLB Blog: Whats going on with the Yankees ? 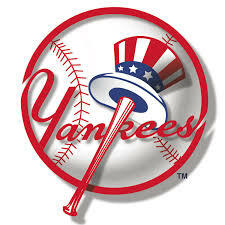 Based on what the New York Yankees are doing in Nashville, it's unlikely they are shooting for a championship in 2016. Rebuild seems to be the Yankee buzzword lately. Let's look at what they've recently done. The solid 4 man relief unit of Andrew Miller, Dellin Betances, Justin Wilson and Adam Warren have been decimated. They've been dangling Miller, and have traded Wilson and Warren. For Warren they obtained Starlin Castro....maybe an even trade.... and for Wilson, 2 minor league players, Luis Cessa and Chad Green who will unlikely make the majors in 2016. After watching a small market, low payroll team like Kansas City go deep into the post-season in 2014 and win it all in 2015, the Yankees are possibly changing their philosophy of buying a championship ?